ONE OWNER, CLEAN VEHICLE HISTORY/NO ACCIDENTS REPORTED, and RECENT TRADE. Aero Gray w/Cloth Seating Surfaces. All the right ingredients! Flex Fuel! Are you still driving around that old thing? 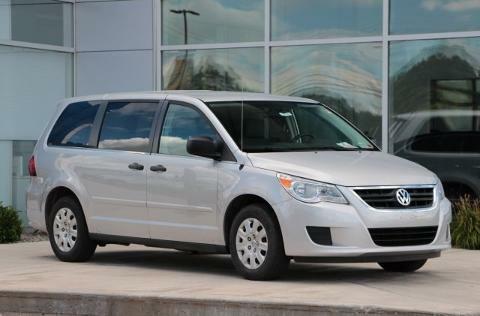 Come on down today and get into this beautiful-looking 2012 Volkswagen Routan! This wonderful Volkswagen is one of the most sought after used vehicles on the market because it NEVER lets owners down. It is nicely equipped with features such as Aero Gray w/Cloth Seating Surfaces, CLEAN VEHICLE HISTORY/NO ACCIDENTS REPORTED, ONE OWNER, and RECENT TRADE.